This summer marks the 40th anniversary of my first experience with open water racing. I joined the Jones Beach Lifeguard Corps in 1973, and–as one of the better open water distance swimmers at Jones Beach–began to represent the Corps at lifeguard tournaments on the East Coast. I fared far better in 500- to 1000-meter races in L.I. Sounds or the Atlantic Ocean than I had in races of similar distance in college meets in the pool. I also enjoyed them far more. I initially credited my success in open water to “natural endurance” and to having an instinct for racing without walls and lanes that others lacked. I left the ocean behind after moving to Richmond VA in 1978. When I resumed swimming in open water in the early 1990s, I picked up where I’d left off—competing successfully in open water with people whose ‘wake I’d eaten’ in the pool. In 2001, turning 50, I began to think of myself as an “open water specialist.” In part because the ‘sky lakes’ in Minnewaska State Park, became available for wide open swimming after years of being restricted to roped-in areas, not much bigger than a pool. At the time, I trained in Masters workouts and swam pool meets occasionally. It occurred to me that the stroke I used in open water races—mostly between 1 and 3 miles—felt long and integrated, while the stroke I used in the pool–especially in the heat of a race (including with teammates in training)–felt more hurried and choppy. Since I’d had my greatest success in open water races, I thought I should ‘put my eggs in that basket,’ using my open water stroke exclusively, even when racing teammates on short repeats. This meant limiting the number of strokes I would allow myself in training to 15, while keeping my average SPL between 13 and 14. Thought I trailed significantly at first, before long I began closing the gap on high-revving teammates. Taking fewer strokes forced me to get more out of each stroke, but I adapted fairly quickly. And on longer repeats or sets—where I’d always finished near the top of the group–I saw even more improvement. In 2002, I swam the 28.5-mile Manhattan Island Marathon, completing it with far longer, and more leisurely, strokes than any other competitor. From then through 2004, I had strong results in races of all distances. But it wasn’t until reading an article in 2005 by Jonty Skinner—at the time Performance Science Director for USA Swimming–that I realize how uniquely suited were the techniques I’d been practicing for open water. Skinner’s article analyzed the contrasting techniques employed by freestylers who were more successful in Short Course (25y/m pools) vs. those who shone in Long Course (50m pools). Because the Olympics are held in Long Course, success in a 50m pool is highly valued. After studying video from 20 years of national championships in both courses, Skinner observed that elite Long Course freestylers swam with longer, lower-tempos ‘hip-driven’ strokes. In contrast, elite Short Course freestylers swam with shorter, higher-tempo ‘shoulder-driven’ strokes. Skinner explained the disparity this way: Among elite freestylers, in a 25-yard pool, the ratio of swimming to non-swimming (turns and pushoffs) is approximately 2.6 to 1. In a 50-meter pool, the swimming to non-swimming ratio rises to nearly 8 to 1. As Skinner explained, a shoulder-driven stroke allows the swimmer to achieve higher tempos and generate higher arm forces. This can create more speed in short bursts,but has great potential to cause fatigue. Frequent ‘rest breaks’ received by the arms on turns allow the swimmer to recover sufficiently to sustain a fast pace for distances up to about 200 yards. But in a 50m pool, and when swimming over 2 minutes continuously, the hip-driven stroke proved to be the far better choice. Upon reading Skinner’s article, I instantly recognized that what provided a significant advantage in 50-meter pools ought to be even more advantageous in open water, where the swimming-to-recovering ratio rises to infinity. And of course since most open water competitors and triathletes do the majority of their training in 25-yard pools—and especially if they race others, as in Masters workouts—the pace clock and their natural competitiveness provides a strong incentive to revert to shoulder-driven strokes. It requires a conscious decision to limit stroke count–and strong restraint when swimming next to a shoulder-driven swimmer—to hardwire the hip-driven style. Back in 2005, I was willing to ‘lose’ the 25-yard in the present moment to be better prepared for an open water event that might be several months in the future. 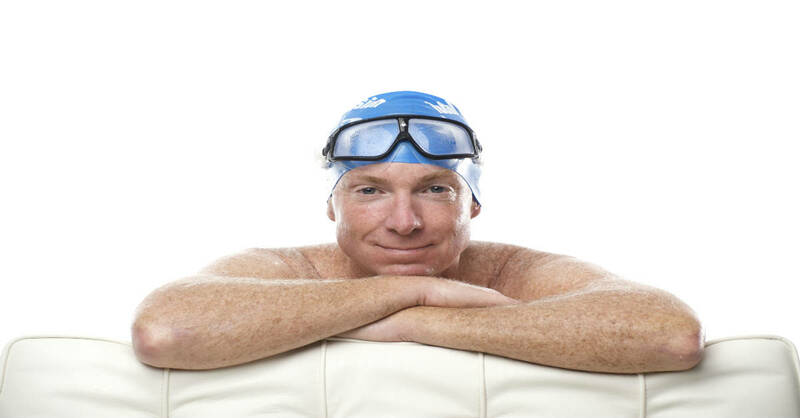 The following year I won the first of six National Masters open water titles and broke two national age group records. I feel certain none of this would have been possible had I not committed to the hip-driven stroke. Hip-driven technique is illustrated on the DVDs Outside the Box and TI Self-Coached Workshop. Get all three items for 20% off in our Open Water Success bundle. 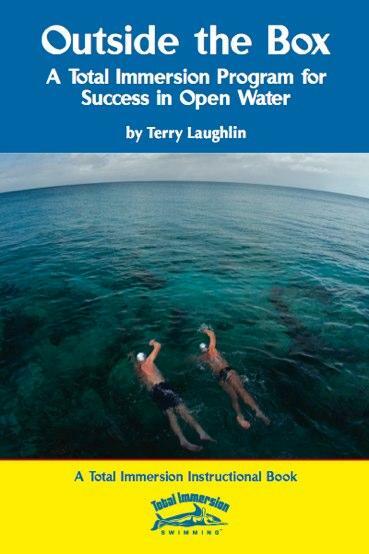 Or learn open water technique, strategies and tactics at any TI Open Water Camp. When you first started writing about swimming you were also coaching the sprinters at West Point. I”ve always understood what you taught them was hip driven swimming. The technique worked well for them. I remember your writing about Joe Novak who practiced at 8-9 strokes per length and raced at no higher than 13-14. My son swam for Lafayette College in those years and saw Novak at the Patriot League championships where everyone marveled because while his turnover was so much slower than everyone else’s, he was winning. The combination of what you were writing making sense, with my son’s report of what he saw, convinced me to rip apart my stroke and rebuild it, following your teachings. My question then is: what was different about the sprinters you trained them, from what you are teaching now about open water swimming? Thanks for reminding me of that. The main differences between what I taught the West Point sprinters and what I teach people like you and me are (1) the 6-beat kick was the default choice for them, and (2) their stroke rates were much higher–even Joe with his leisurely-looking stroke. I have ‘followed’ your writings and DVD’s over the years. Tomorrow I will enter my first open water competition, part of a sprint triathlon here in Trevignano. I am nervous. Thanks for all your ‘tips’ over the years and I hope sometime to be able to do a course with you. I am by no means an ‘elite’ swimmer but have noticed this as well in my masters sessions. While I’m not quite down to 15 strokes by 25m length (17-18) I definitely notice that I tend to catch the ‘faster’ swimmer over a distance of 200m or more. I haven’t done any of your courses as I can’t afford them at present so am stuck with doing a ‘youtube’ course. I am starting to do more open water as I am doing a English Channel relay swim for charity. I have heard that TI technique is not suited to colder water swims due to the low stroke rate. What is your opinion on this? When counting strokes, do I count every arm turnover as one or every other arm turnover? Great article thanks Terry, I really like the logic and reasoning. It is easier to do something if you understand the “why”. So your pool swimming pace/stroke count is practice for your open water swimming. Are those rates the same (pool & open water)? How does the stroke count of 15 relate to a tempo timer (strokes per minute) in the pool and open water? Cheers Terry, your teaching has given me an immense increase in my swimming joy! Brian Thanks for those questions. I suggest you post them on the TI Discussion Forum. Either of two conferences — “Outside the Box, swimming in Open Water” or “Discuss Terry’s Blog Posts” would be suitable places to start a discussion thread on them. Either will work, as long as you’re consistent with it. My custom is to count every hand entry. First I want to clarify that my 15SPL was in 25y. In 25m I take 1-2 additional strokes. Second, there are at least 30 people who’ve had successful Channel crossings who credit TI technique with contributing greatly to their success. We don’t discourage faster tempos at all. Our focus is on teaching balance, streamlining and–when it comes to propulsion–making every stroke count. In open water I swim with a range of rates as fast as .8 sec/stroke (about 72 SPM) and 1.2 sec/stroke (49 SPM). I work at being efficient, smooth and relaxed at each. I really think swimming can help maintain the integrity and optimize the strength of the body. Thank you for posting this article. As long as people will be consistent in swimming exercises, I believe that they can achieve great results. Hi Terry went on your site, see you have accomplished goals you always stood for. Hope Alice and Fiona are enjoying life wherever you live. Don’t want to make you feel old but Fiona must be close to 40 Stacy is now 39. Nancy and I are living in Lakeland Fl. I’ll be 72 this month. Still remember those years at the Point! Congratulations on your accomplishments I never doubted you would reach your goals.